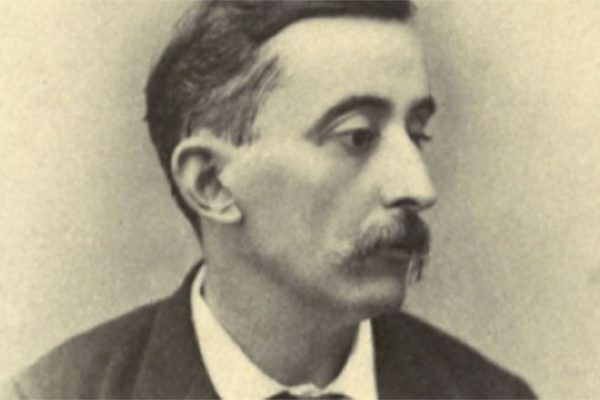 Join us on Thursday, September 20 at the 3 West Club (3 West 51 St.) at 6 P.M. for an event on The Hellenic American Archives Project on The Life, Times and Works of Lafcadio Hearn/ Koizumi Yakumo (1850- 1904) from a Hellenic, Irish, American and Japanese perspective. Presentations on Lafcadio will be by Prof. Nicholas Alexiou of Queens of Queens College, and Prof. Ismini Lamb of Georgetown University with an introduction by EMBCA’s President Louis Katsos. Lafcadio (named after where he was born in Lafkada, Greece) is one of the most fascinating writers of the later 19th Century. In the U.S. he was regarded by some as America’s foremost ethnographic documentarian of the 19th Century and probably Japan’s also where he was/is known as Koizumi Yakumo. In Japan , where he married into a Samurai family and had four children, he is recognized as “Japanese thru and thru”. Many in Japan learn about their older Japanese culture in particular through the writings of Lafcadio. In the U.S. becoming a famous journalist he is credited with “inventing” New Orleans as an “exotic and mysterious place”. Lafcadio’s mother was Rosa Antoniou Kassimatis, a Hellenic woman of noble Kytheran lineage through her father, Anthony Kassimatis, his father an Irish born British Surgeon was stationed in Lefkada and where they met and married during the British occupation of the Ionian Islands (until 1864 when they turned them over to Greece). ** Note & Reminder- Tonight Thursday, September 6 is our first event of the season at the 3 West Club (3 West 51 St.) at 6 P.M. on the occasion of the commemoration/remembrance of the Istanbul Progrom / Septemvriana of September 6–7, 1955. and the 2nd AHEPA Seraphim Canoutas Lecture Series event. The main presentation will be will be by Prof. Alexander Kitroeff of Havorford College.. The Istanbul pogrom, were organized mob attacks directed primarily at Istanbul’s/Constantinople’s Hellenic minority on 6–7 September 1955. As a result of the pogrom besides many deaths there was severe damage and costs which greatly accelerated the emigration of ethnic Hellenes from Turkey still there, and their homeland for over three thousand years before that.